In 1968, Florence V. T. Burden and her sons William A.M. Burden (AB 1927) and Shirley C. Burden made a generous gift in memory of William A.M. Burden (AB 1900) and his late grandson, William A.M. Burden III (AB 1953, MBA 1955) to build Burden Hall, a state-of-the-art auditorium. 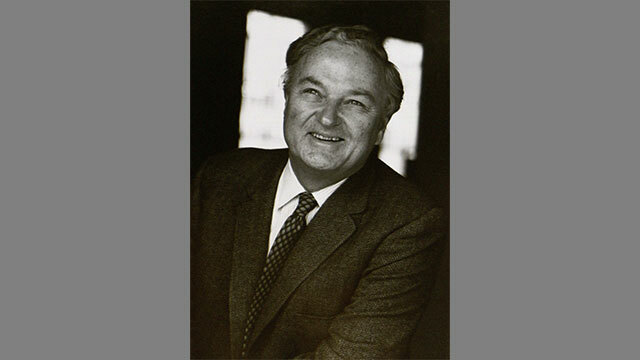 The Burden family’s extensive Harvard connections date back to Florence’s father, Hamilton McKown Twombly, who graduated from Harvard College in 1871. Subsequent generations included Robert Livingston Burden (AB 1955) and Carter Burden (AB 1961). 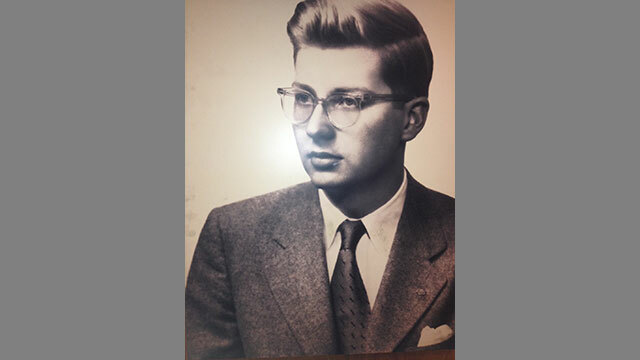 Florence’s grandson, Ordway P. Burden (AB 1966, MBA 1968, HLS 1971) was a student at HBS when the cornerstone of Burden Hall was laid in May 1968. Additional graduates include Frederick Childs (AB 1979, MBA 1988) and Flobelle (Burden) Davis (AB 1991). From 1971 to 2017, Burden Hall was a significant fixture on the Harvard Business School campus, proudly serving as the School’s large-scale gathering space for thousands of classes and lectures, visiting luminaries, alumni reunions, and student events including the HBS Show. Designed by Lincoln Center architect Philip Johnson to accommodate a variety of HBS and University functions, Burden was a flexible amphitheater-style space that expanded and contracted to meet the needs of each individual gathering. In addition to their generosity towards Burden Hall and Baker Library at HBS, subsequent generations of the Burden family have also supported the University libraries, the Harvard Art Museums, the Harvard T.H. Chan School of Public Health, and the Harvard Graduate School of Design in addition to an endowed undergraduate scholarship fund and the Shirley Carter Burden Professorship of Photography at the Faculty of Arts and Sciences. The Burden Family Fellowship was established at HBS in 2018 to honor the longstanding legacy of the Burden family at the School. 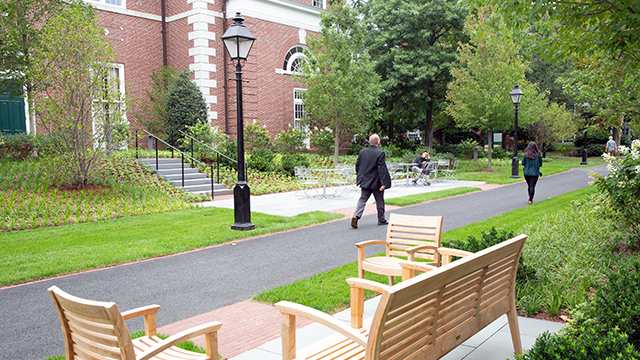 With the decommissioning of Burden Hall in 2017, HBS created Burden Park, a newly envisioned space near the original building. 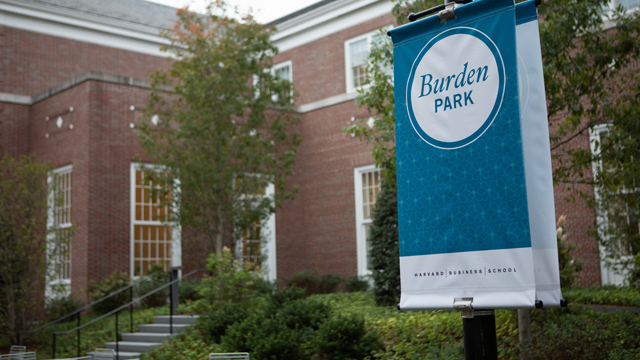 For students, faculty, staff, alumni and visitors, Burden Park is a place for exchange and socialization, recreation, and respite. It is a true gateway to the campus, serving as a heavily traveled connection between the primary student-oriented buildings. Located between Spangler Center and Klarman Hall, the park welcomes visitors arriving from the south side of campus, setting the stage for the unique landscape they will encounter throughout the School. Burden Park also serves as a place for community members to sit and exchange ideas or take a break. It is a much frequented and essential part of the fabric of the HBS campus, and Harvard University’s growing presence in Allston. Both William A.M. Burden and his grandson died at the untimely age of 32. William A.M. 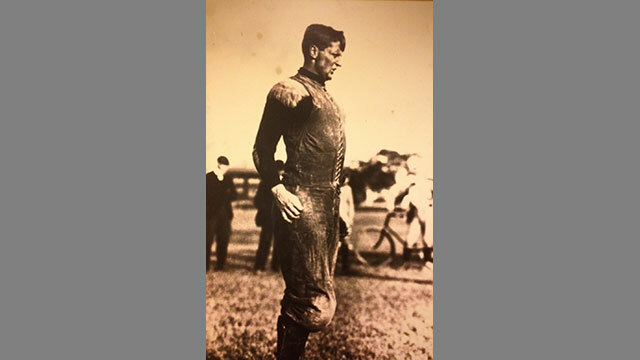 Burden Sr. made his mark on Harvard as First Marshal of his graduating class and captain of the football team. Returning to his native New York, he launched a career on Wall Street with the firm James D. Smith & Co. He died in 1909. His grandson, William A.M. Burden III, became a journalist after graduating from HBS, working as a reporter with the Washington Post. 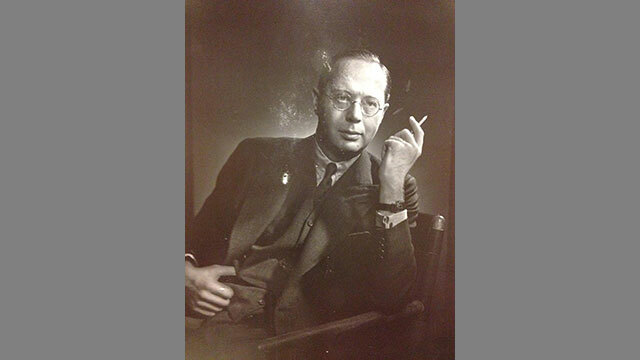 He was a staff member at the Washington Center of Foreign Policy Research when he died in 1962. 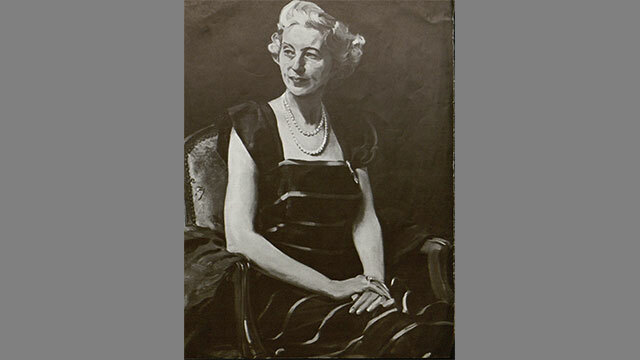 Florence Burden (née Florence Vanderbilt Twombly) had a lifelong interest in Harvard and a deep concern for its future. The daughter of Hamilton McKown Twombly (AB 1871) and Florence Adele Vanderbilt Twombly—the great-granddaughter of railroad entrepreneur Cornelius Vanderbilt—she married William A.M. Burden, heir and president of Burden Iron Works, in 1904. After William’s death in 1909, she devoted her life to her sons, William and Shirley, and to philanthropy. She supported education, St. Luke’s hospital, music, and St. Thomas Episcopal Church in New York, where she was a lifelong member. Florence and William’s eldest son, William A.M. Burden (AB 1927), father of William III, spanned aviation, government, modern art, and business. After graduating from Harvard, he studied the developing airline industry at MIT and was an aviation business analyst until the early 1940s. His impact on HBS began in 1942 when he partnered with Dean Donald K. David to establish the HBS Research Program on Aviation; he chaired its advisory committee for six years. The program introduced the business of aviation to the HBS curriculum and laid the foundation for the Baker Library Collection on the Business Aspects of Aviation, which includes the William A.M. Burden Papers, aviation investment analyses that Burden prepared in the 1930s. If the aviation industry was William’s first passion, his second, which occupied much of his later life, was contemporary art. He joined New York’s Museum of Modem Art as a trustee in 1943 and was its president from 1953 to 1965, with a two-year break to serve as the US ambassador to Belgium. While William was studying at Harvard, his brother, Shirley Burden , only 16, landed his first job as a reporter and camera assistant with a New York newsreel company. He joined RKO Pictures in California in 1929, rising from production assistant to associate producer. At the dawn of World War II Shirley launched Tradefilms, Inc., specializing in training films for the US military and the government. After World War II, his focus shifted to still photography for high-end architectural magazines. As Shirley’s talent matured, he experimented with photography as an art form, and his work was exhibited at museums in Tokyo and New York. In 1955, he helped collect photographs for The Family of Man, a groundbreaking MoMA exhibition examining the human experience through images of ordinary people around the globe that included Shirley’s photographs. MoMA has several of his works in its permanent collection. In later years, Shirley Burden taught photography and served on boards and committees in support of the arts. He died in 1989.